Together We Can Make Poverty History! Poverty has no natural cause; its ongoing prevalence in our wealthy society results from the choices we make and the policies the governments we elect implement. Make Poverty History Manitoba (MPHM), a coalition of groups and individuals, works to end poverty by shifting government policy at all levels. Together we can build a campaign to make poverty reduction a top political issue in the April 2016 provincial election and to encourage all political parties to adopt platforms to eliminate it. We know that for many of you, the current federal election campaign is consuming your resources, but if we are going to make a poverty a top election issue in Manitoba in 2016, we need to organize now. 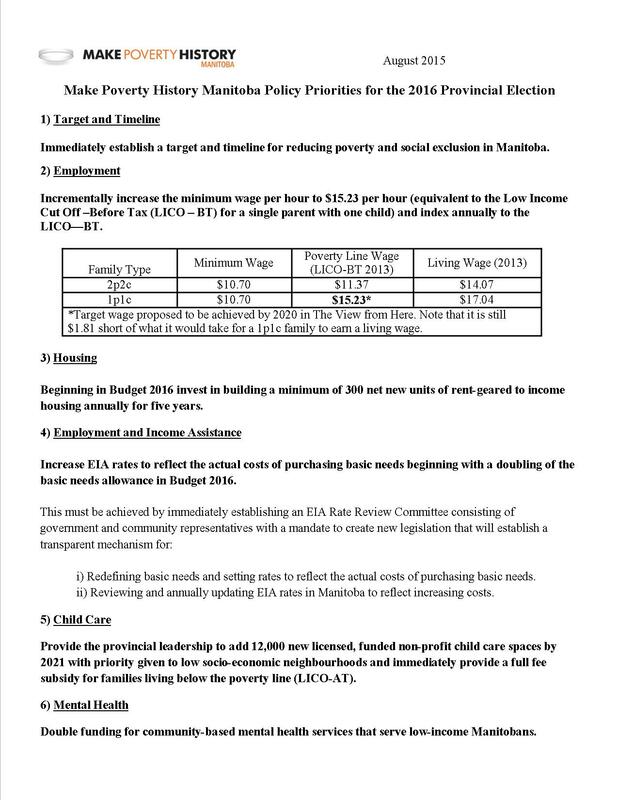 Make Poverty History Manitoba has, through consultation with the community, adopted a plan that identifies 6 priority actions the provincial government needs to take to end poverty in Manitoba (see appendix for full details). These include: set a target and timeline for reducing poverty; increase the minimum wage; build more rent-geared-to-income housing annually; double EIA basic needs budgets, add childcare spaces, and double funding for community-based mental health services. More is needed to end poverty, but these stand as top priorities (see The View from Here 2015). To raise these policies to the top of the political agenda, MPHM proposes over the next eight months to host public meetings, distribute informational materials, offer training sessions and use traditional and social media. 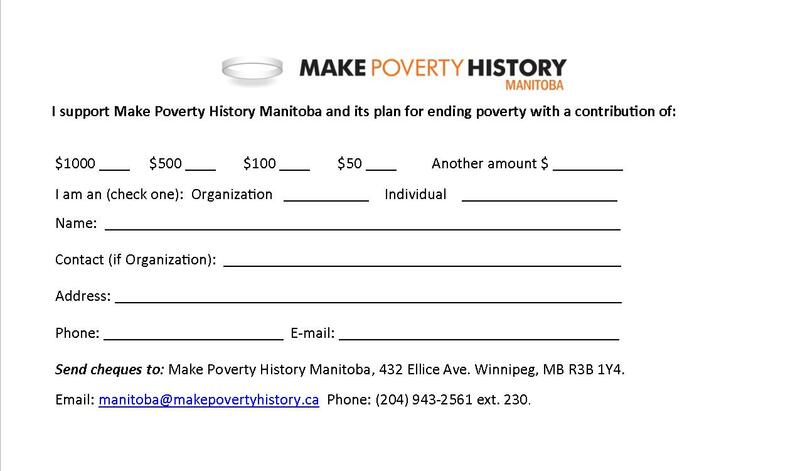 We ask you, as a supporting organization or individual, to help build the Make Poverty History Manitoba Action Fund. These goals are possible if we raise $15,000 before September 30, 2015. 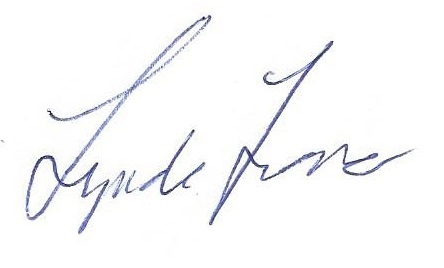 All funds raised will go directly towards the campaign and raising awareness. In four years (with no budget and dedicated volunteer support) Make Poverty History Manitoba has achieved great successes, including an historic increase in income assistance rates in 2015 that added $40 million to the lowest income households in Manitoba. A contribution of $100 from each of the 100 organizations that supported the View from Here and the “Raise the Rent Rates” campaign would meet our campaign goal. Please make a contribution today to help us end poverty in Manitoba.